Non-surgical laser procedure for vaginal wellness! Syneron Candela CO2RE Intima is a quick, non-surgical in-office laser procedure to restore vaginal health. 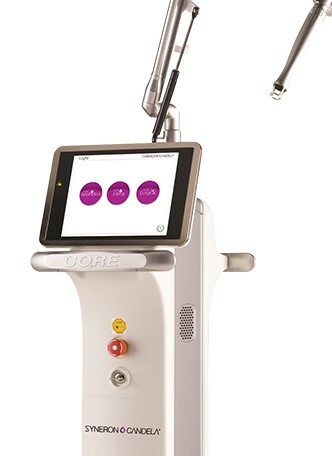 CO2RE Intima differs from other vaginal treatments by utilizing CO2 laser and treating all three areas (external, internal and introitus). CO2RE Intima uses laser energy to treat the changes and symptoms women may be experiencing related to vaginal wellness or appearance. The CORE Intima hygienic, single-use external hand piece comes into contact with the area of skin need¬ing treatment and delivers gentle laser energy, which results in remodeling of labial and vulvar tissue fibers, restoring flexibility and shape. The treatment can also address dyschromia and skin pigmentation resulting in improved texture and tone. 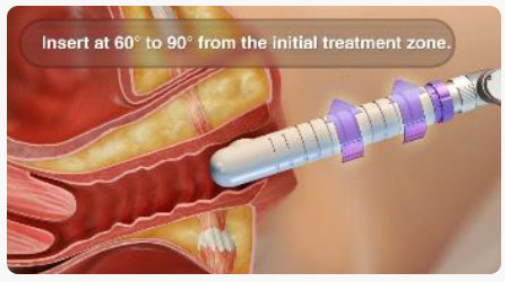 Laser energy is delivered through a tube which is attached to a hygienic, single-use laser hand piece that is inserted into the vaginal canal. The laser energy is gently delivered to the vaginal wall in a 360-degree manner, stimulating a healing response that enhances moisture levels in the vaginal canal and results in the remodeling of the vaginal tissue fibers, thereby restoring their flexibility and shape. Call today to learn more about the benefits of CORE Intima for vaginal wellness.